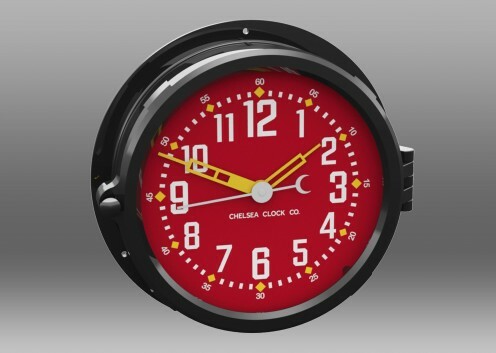 The Patriot Colors Collection offers a bold, colorful twist on our 1940s-inspired timepiece. 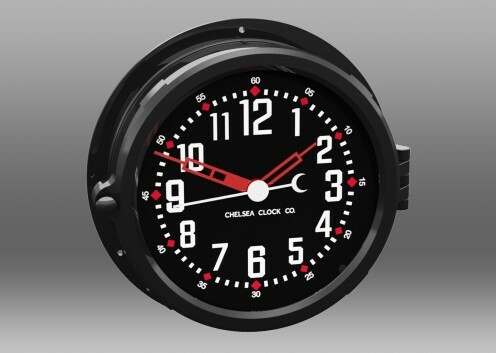 Vibrant green, deep red, and rich navy dials – along with ever-classic white and black – take center stage in a dramatic, jet-black clock case. 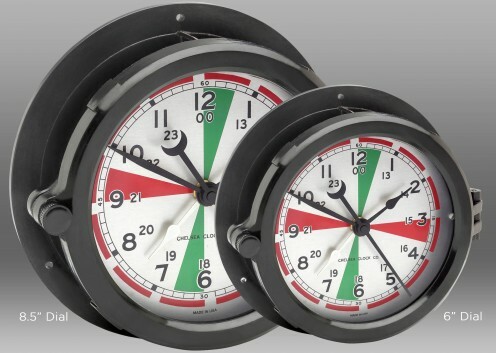 Big, bold-faced numerals and striking, stylized hands make these precision quartz timepieces a welcomed splash of color and creativity within any home or office setting. 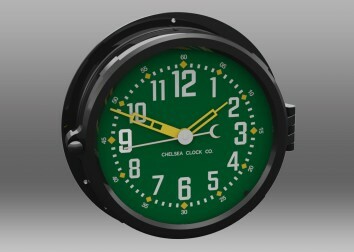 This clock's vibrant green dial boasts dramatic white numerals with contrasting yellow hands and accents. 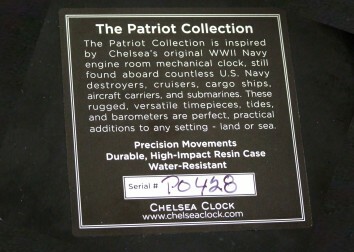 The Patriot Colors Collection features the same phenolic clock cases used in our popular Patriot Deck Collection. 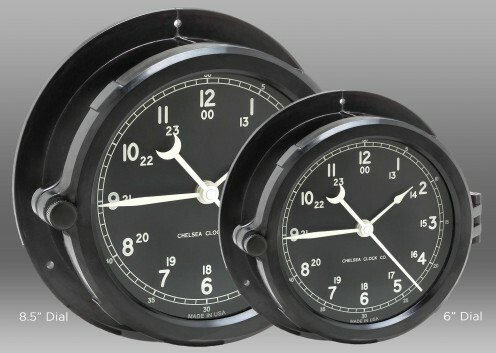 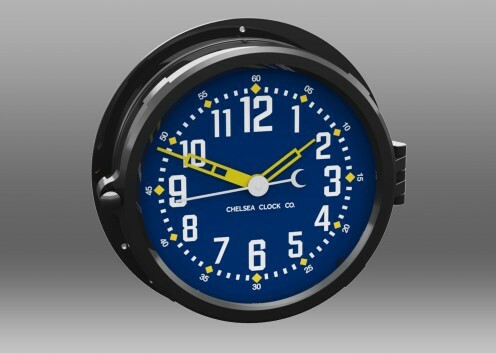 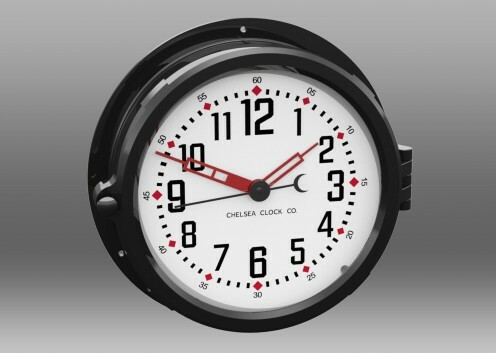 Inspired by Chelsea’s WWII-era Navy engine room clocks, these cases are fabricated using a patented, heat-resistant black resin, reinforced with glass fibers for added strength and durability. 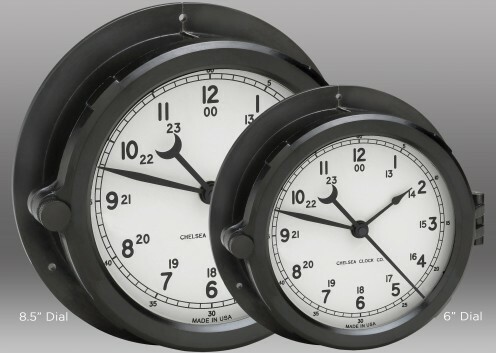 Our phenolic cases will not crack, chip, or peel, and can withstand heat, moisture, and, most importantly, the test of time.